While everyone was tearing into Christmas presents yesterday, we couldn’t help but check in with the aquarium keeping world a time or two to see if there was anything exciting going on besides the normal holiday stuff. And boy did our perusing pay off. 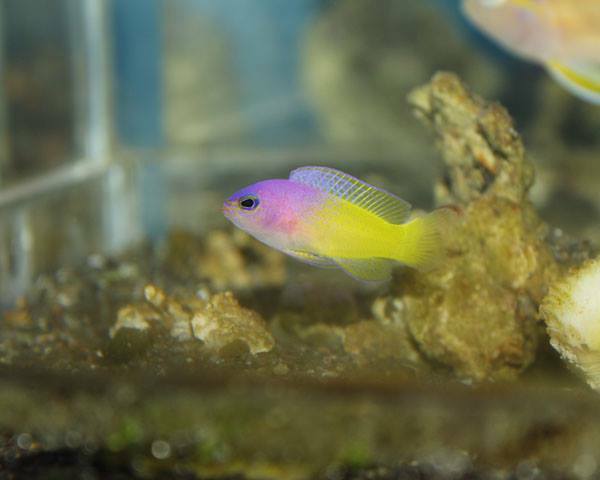 We stumbled across a set of images that Blue Harbor shared on their Facebook page that include some extremely rare members of the famous basslet genus, Lipogramma, that include the bicolor basslet (L. klayi) and the banded basslet (L. evides). Blue Harbor always has a smorgasboard of virtually unheard of and unattainable fish, and these are no different. To our surprise, Blue Harbor didn’t just get these fish in. Instead, they’ve actually had the L. klayi and L. evides basslets for the better part of six months now. 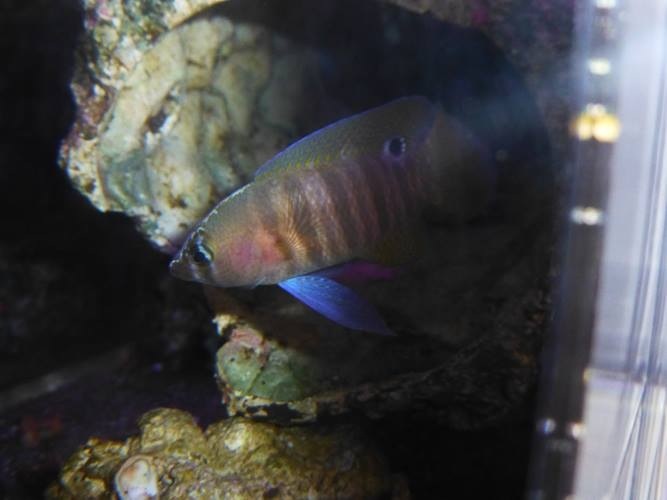 I’m not sure how we missed them in our usual coverage, especially since we tend to focus on everything Blue Harbor does, but we’re just glad to get to see them thriving in captivity, especially since they come from the extreme depths surrounding Curacao. The banded basslet is one of those extreme deepwater fish that we all want but will never have the opportunity to own. It is found at depths of 100m or more, with some instances of fish being found well past 300m! It is targeted by fish collectors in Asia, and any individuals brought in usually go to them and unfortunately not into the states. 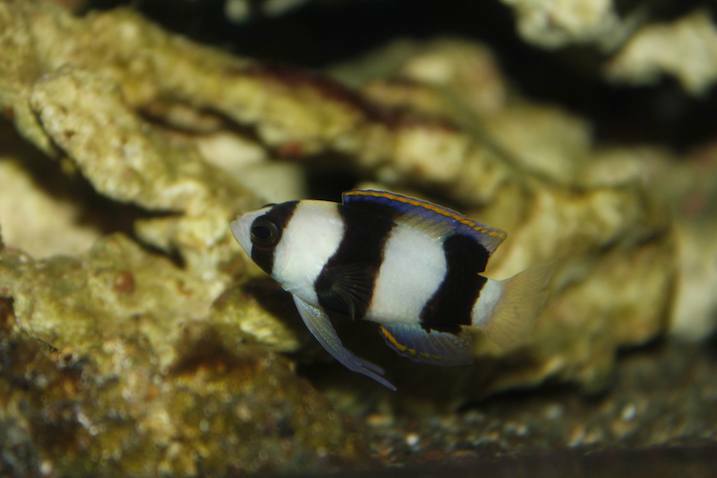 As for the bicolor basslet, it’s far more common than its banded brethren, but it is also another rarity in the hobby. 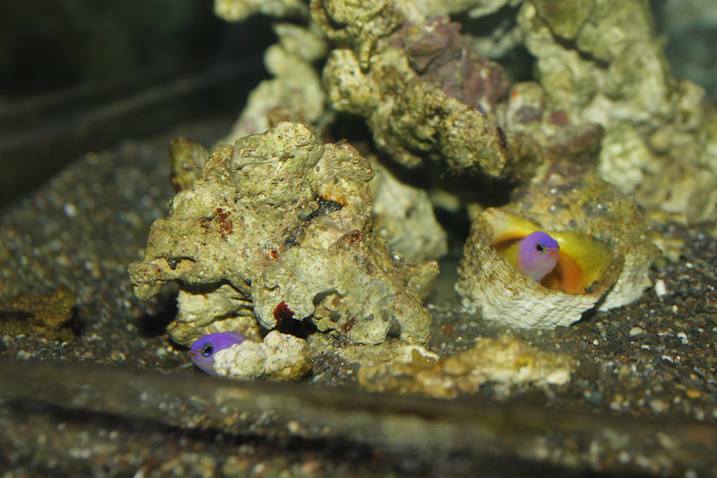 Thankfully, Todd Gardner, 2013 MASNA Aquarist of the Year, has bred them in captivity. We probably won’t be seeing captive bred basslets from this species in any volume anytime soon, but the possibilities are there. On an interesting side note, these fish bear a striking resemblence to a far more well known fish, the royal gramma basslet (Gramma loreto) which is also from the Atlantic/Caribbean region. And just for the fun of it, Koji sent us an image of the always mouth watering yellowbar basslet, better known by its species name L. robinsi. This particular fish has been with Blue Harbor for approximately two years.